The Union’s Youth Engagement program was created in response to neighborhood children who literally knocked on our door curious about the activity in our first home on Burdette Street. Recognizing a desire among neighborhood youth for hands-on art activities, we launched Art Club, an arts and culture enrichment program dedicated to providing a safe and welcoming environment for youth ages 7–14. Today, we continue to offer free creative experiences for North Omaha youth, ranging from the visual and performing arts to urban agriculture and cooking. In 2018 we engaged over 300 young people for a total of 3,076 hours of art based programming. For questions regarding Youth Engagement, please contact Youth Studios Manager, Jacquline Smith, at jacquline@u-ca.org. 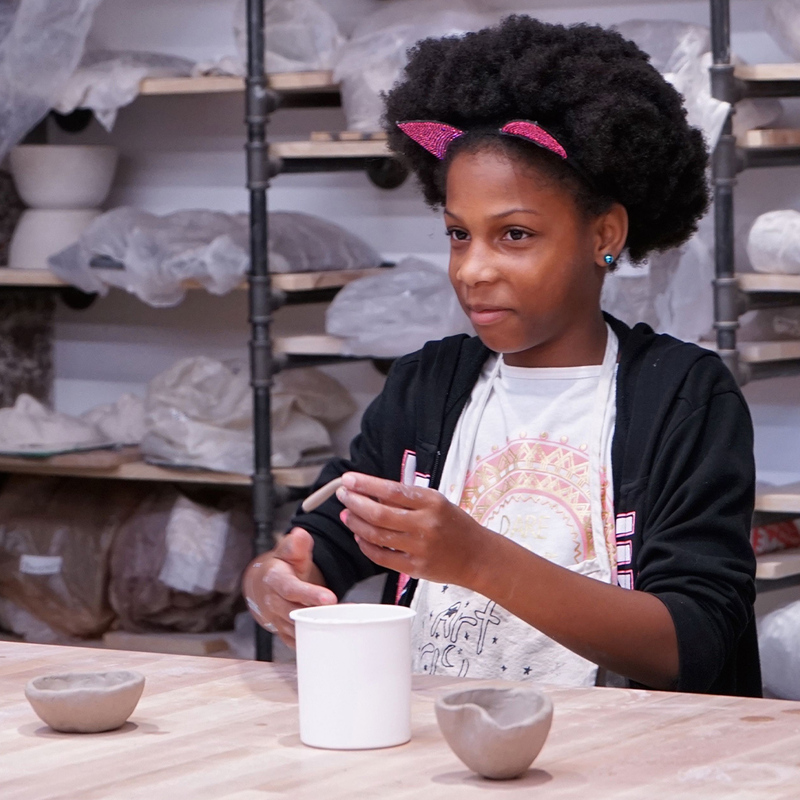 Saturday Art Club is a year-round arts and cultural enrichment program for youth ages 7-14. Each session offers opportunities for the youth to create hands-on art projects, view and discuss exhibitions, collaborate with peers, and gain food knowledge and cooking skills by working with a chef to prepare lunch or a snack. In the summer, youth also explore plants in the garden and harvest produce for their meals. Program enrollment is on a rolling basis with a current cap of 24-30 youth per session to maintain an intimate setting and allow for deep relationship building between youth and teaching artists. Created to serve families in North Omaha, youth living in or attending school in the 68110, 68111, 68112, and 68104 zip codes are given priority admission. Any remaining spots in the program are open to youth in Greater Omaha who qualify for free or reduced lunch or who are from historically underrepresented backgrounds. 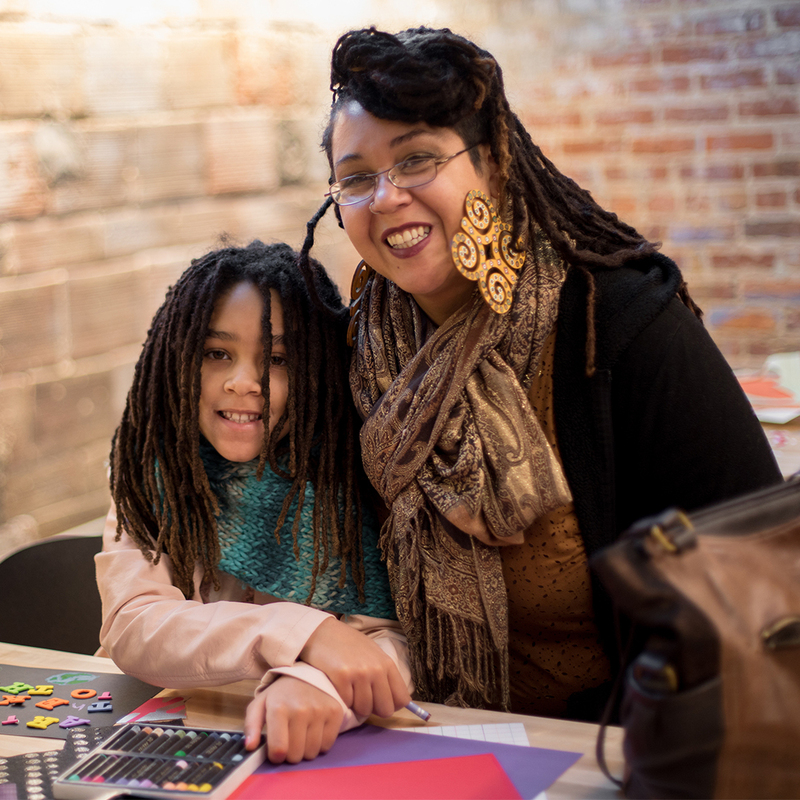 The Union is pleased to offer Saturday Art Club at no cost for participation. Transportation is not provided at this time. 6 - 8 PM | Youth are invited to The Union on Thursday evenings for self-directed studio time. Come draw, paint, read, play games, or create art inspired by the exhibitions in our gallery. Open and flexible, this program provides space for joy and creative freedom in a safe environment. Youth Open Studios was established to reduce barriers to participation in our Thursday Co-Op workshops, creating an opportunity for young people to engage in hands-on art-making while their caregivers do the same. This program is accessible to ALL youth ages 5-15. Space is limited so please call ahead to inquire about availability. 402-933-3161 Co-Op workshop participation is not required, but workshop participants may register youth in advance. ****Open Studios Pick-Up Policy: All participating youth must be picked up and signed out at the front desk by 8pm. Only an authorized adult whose information is on file can pick-up youth and identification will be required. 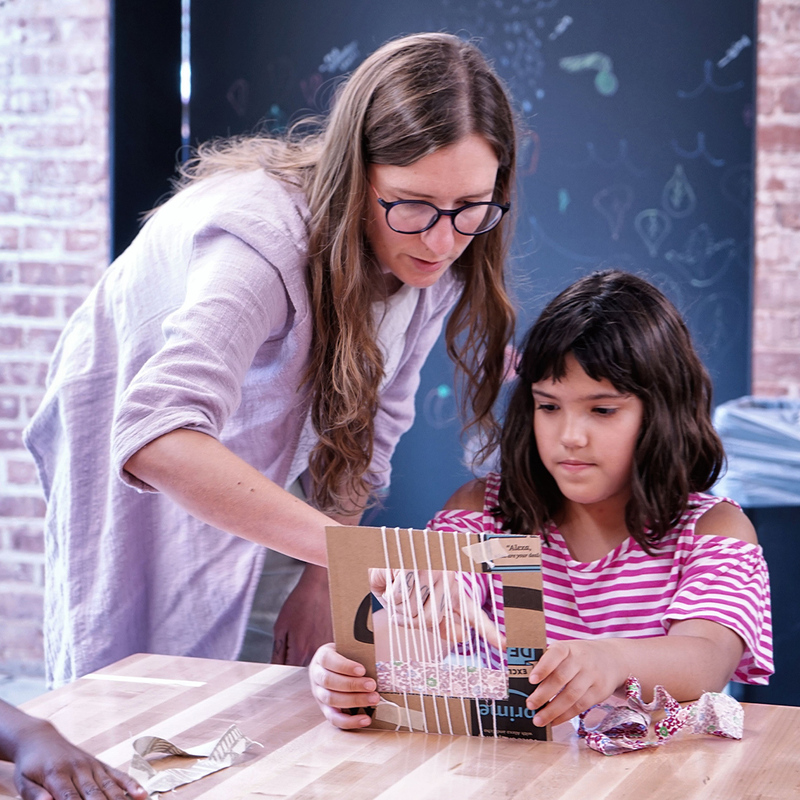 Together Workshops are designed for children and their caregivers to explore creative processes together, such as printmaking, ceramics, gardening, painting, food preservation, and more. Each month, we offer multiple opportunities to participate in these artist-led experiences.